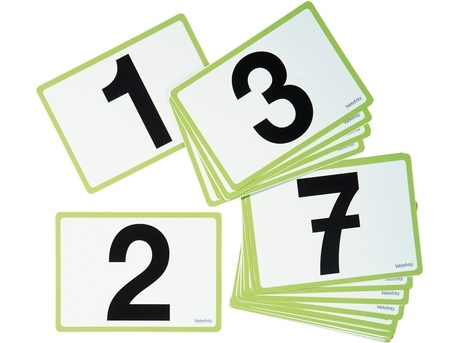 Each of the 21 picture cards “hand signs/fingers,” “quantities,” and “numbers/numerals” allows for different variations of counting and arithmetic games. So that it’s really easy to count to 20 and do arithmetic! 63 picture cards made of sturdy cardboard (18 x 13 cm), 3 index cards (18 x 14.5 cm), includes storage box.